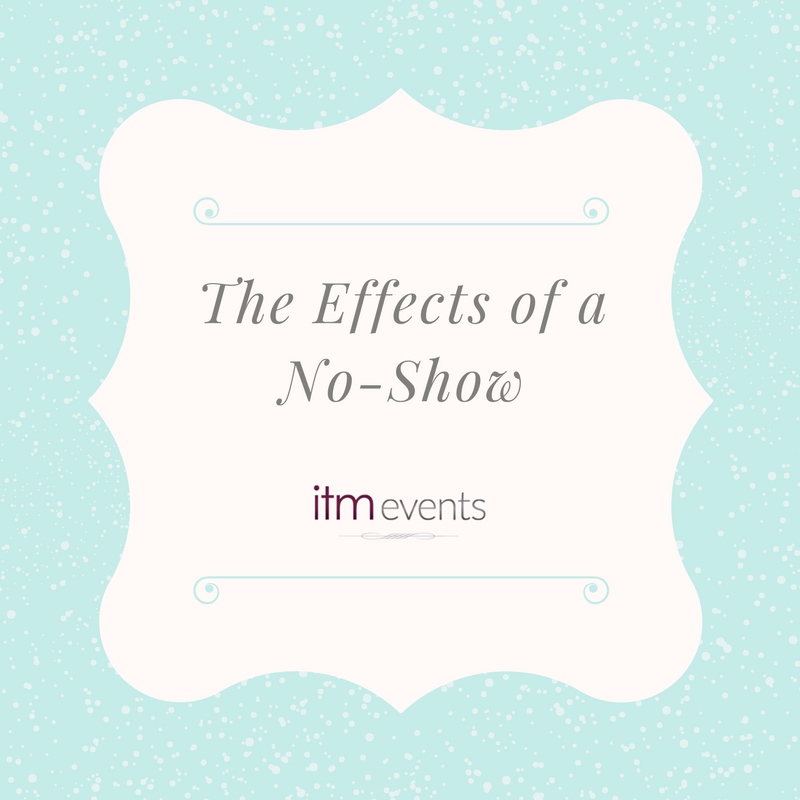 With event season in full swing I thought it would be a good time to discuss the effect a “no-show” has on an event. If you’ve been asked to RSVP for an event please do and do so promptly so the host/hostess can finalize numbers asap. More importantly if you have RSVP’d that you will be attending an event please make sure that you show up. 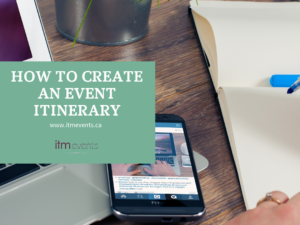 Emergencies happen and you may not be able to attend but if the event day rolls around and you decide you don’t feel like going now or you’ve gotten a better offer I would like you to think twice about not going. Here is an example of how “no-shows” impact an event. 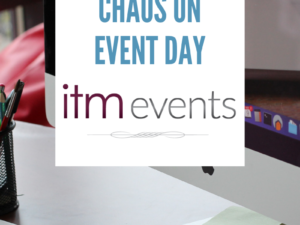 We recently planned an event for a client. 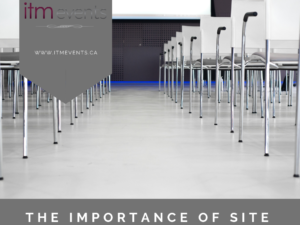 We had to guarantee our attendance numbers to the venue 1 week before the event. Your guaranteed number is the number the room is being set for and the number of mouths you are going to be charged to feed. So in this case we guaranteed our number at 190. Based on that 190 we created floor plans, ordered linens (tablecloths and napkins), created table decor (centrepieces and napkin rings) and confirmed meals with the caterer. We are now at 24 hours before the event, I get a message on my voice mail saying that someone wanted to cancel his two spots, his girlfriend now has to work and he has things to do around the house. The night of the event we have 13 other people who don’t show giving us a total of 15 no-shows. Fifteen people out of 190 won’t even be noticed right? Wrong! Obviously the guests likely won’t know the difference but we did and the client did. Our tables at the event sat 8 people per table so for 15 no-shows we had – 2 tables too many for a total of $14, 2 centrepieces too many for a total of $60, 2 sets of linens too many for a total of $28.75, meals that were guaranteed to the caterer for a total of $570, 15 chairs too many for a total of $90, 15 chair covers too many for a total of $45, we had 15 menus/programs too many printed for a total of $45, and 15 glasses of champagne too many for a total of $105. Our client spent an extra $957.75 that didn’t need to get spent. They were happy to spend that because they wanted everyone to attend but that could have been spent on other things or even better, not spent at all! And that cost breakdown is on the cheap side. Let’s use a wedding in the city at a hotel type venue, meals alone are likely in the $70-$110 range, that’s $1050-$1650 lost in just food costs. This applies to any type of event – corporate, weddings, private house parties. 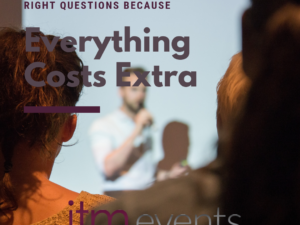 There are costs associated to everything and often costs that you are not even aware of so the next time you RSVP to an event be sure that you show up, even if it’s just for the meal. Whoever asked you to be there wants you there and is happy to spend the money on having you there but no one wants to waste money.